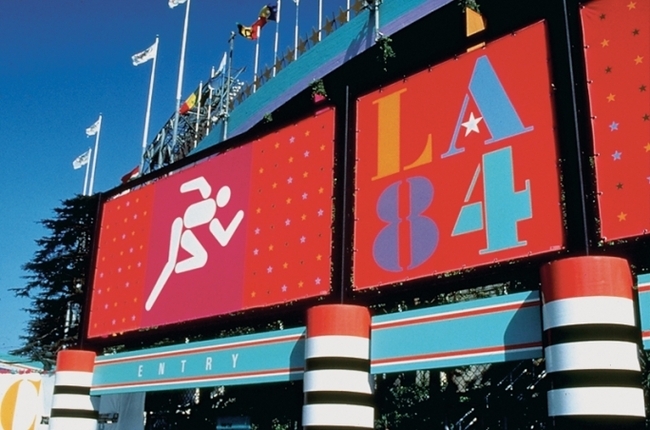 Deborah Sussman is the designer who came up with the look and feel for the 1984 Olympics, and her bold, bright and colourful environmental design, it is said, “created an image of Los Angeles in both its modern and its post-modern forms.” Sadly, she died on 20 August, 2014. 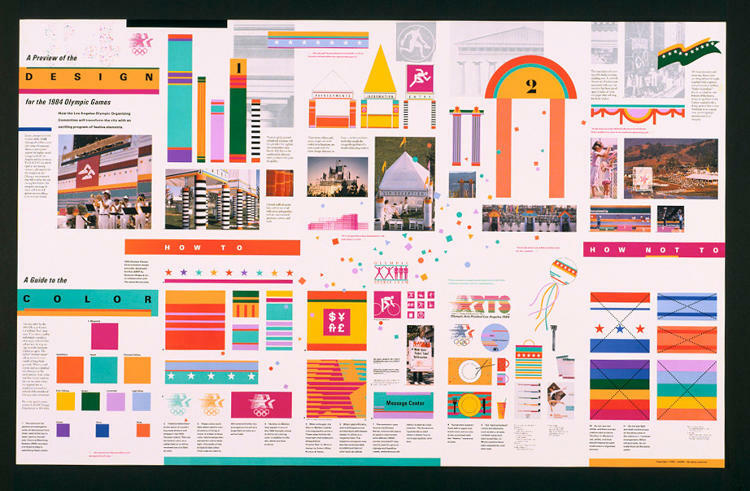 Sussman/Prejza & Co. aka SP&CO and The Jerde Partnership were co-design directors in creating the ‘look’ of the 1984 Olympics in Los Angeles, a massive undertaking that encompassed forty-three art sites, twenty-eight game venues and three villages. 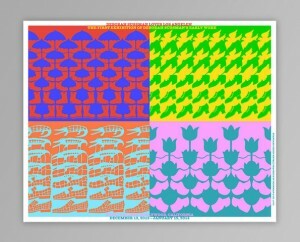 The designers worked together to create a “kit-of-parts” visual alphabet that could be adapted with flair to the disparate venues. 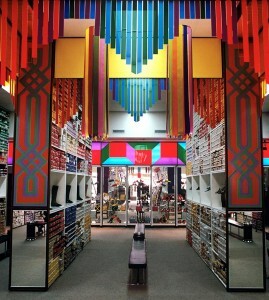 Hot graphic colors, iconic geometries, and ephemeral materials were fused together to transform the city of Los Angeles. 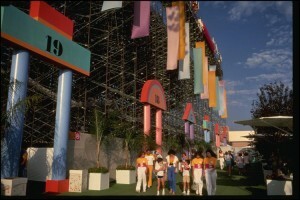 As a matter of practicality, SP&CO’s design also included a wayfinding and identification system that directed spectators from the highways to their seats. This system included vehicular and pedestrian wayfinding signs, transportation signs, facility identification signs, and graphics. 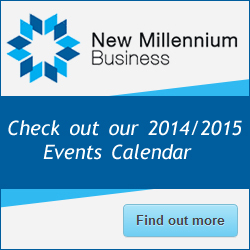 SP&CO specialises in Identity, Signing, Wayfinding & Pageantry. Olympic games are legendary for going over budget and out of control, sometimes leaving cities in worse economic and infrastructural shape than they were before. The brilliance of the 1984 Olympics was that organizers vowed to stay fiscally responsible, electing not to build monumental new stadiums, for example, and use almost all existing structures as venues. 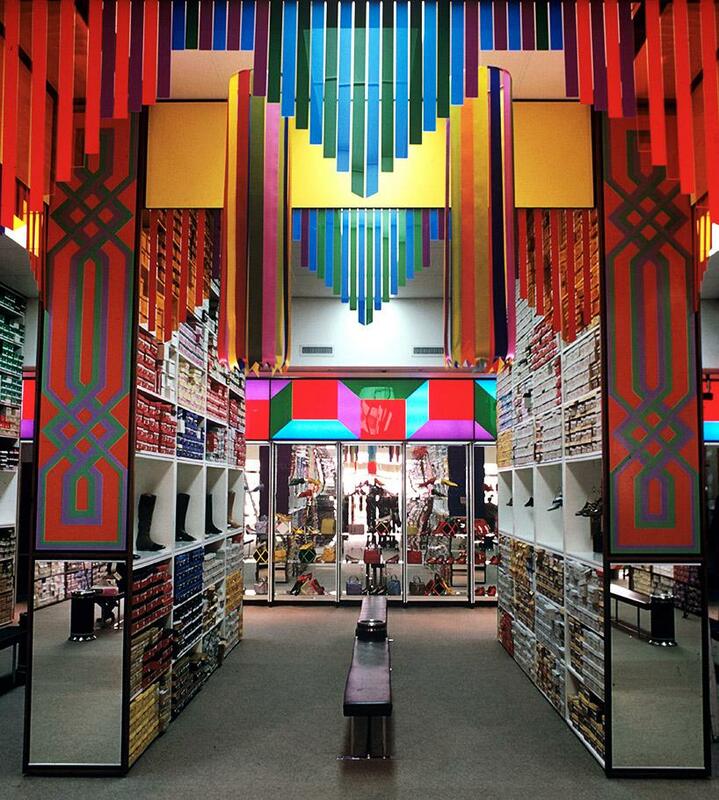 The branding elements were made from inexpensive materials—inflatables, scaffolding, cardboard—which carried a huge visual impact with a light touch. A foundation was established with the profits that continues to support local athletic programs. It remains the only financially successful Olympics in history. Deborah Sussman is the designer who came up with the look and feel for the 1984 Olympics often characterised her own work as "supergraphics:" large-scale, brightly coloured designs that shaped the built environment and brought the urban landscape to life often more powerfully than architecture itself. 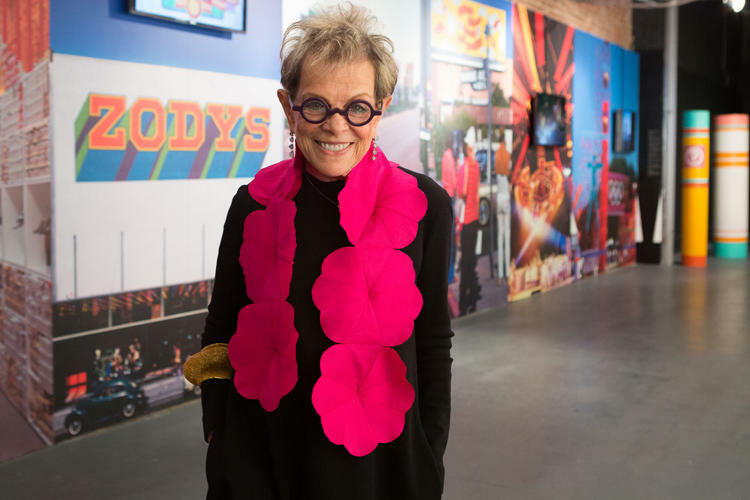 "The idea of supergraphics was not that it was just ‘big' but that it was ‘bigger' than the architecture," she said in a 2013 interview with Creative Review. Sussman was part of a design team that worked on the 1984 Summer Olympics, one of the best examples of her "supergraphics." 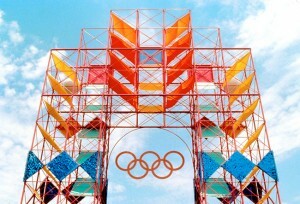 The team created bold, brightly coloured "pop-up" towers, gateways, and walls made from inexpensive scaffolding, upcycled tents, nylon banners, and canopies–cheap replacements for permanent buildings that would be used for the Games, then never again. Instead of the expected national hues of red, white, and blue, the designs were rendered in hot magenta, vermillion, aqua, and chrome yellow, channelling the sun-drenched colour palette of Los Angeles and the Pacific Rim. 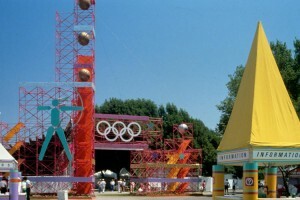 The designs incorporated "pictures of those huge papier-mâché figures made in Asia and Mexico which go up in flames, and bamboo for the scaffolding," Sussman told Creative Review, capturing these cultures' unique "technologies of celebration." "More is more," she sometimes liked to say.